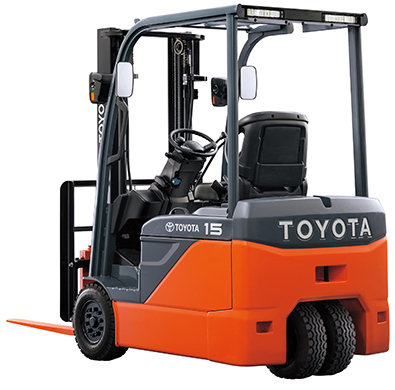 The new Toyota 8FBE-Series electric powered forklift was officially launched in India by TMHIN in January 2016. Improved Operating Time: 20% more running time when operated in standard mode in comparison to its predecessor 7FBE-Series. Best-in-Class Energy Efficiency: Measured by VDI operating cycle, 8FBE achieved best-in-class energy efficiency in comparison to competitor trucks. Superior Stability: 8FBE comes equipped with Toyota SAS technology, which includes ‘automatic vehicle speed control’ and ‘automatic turn speed control’, thus offering superior stability of forklift, which is equivalent to a four-wheeler. Durability: With water resistance level equivalent to IPX4, 8FBE is suitable for both indoor and outdoor operations. Click Here to know more about the new Toyota 8FBE Series electric forklifts.